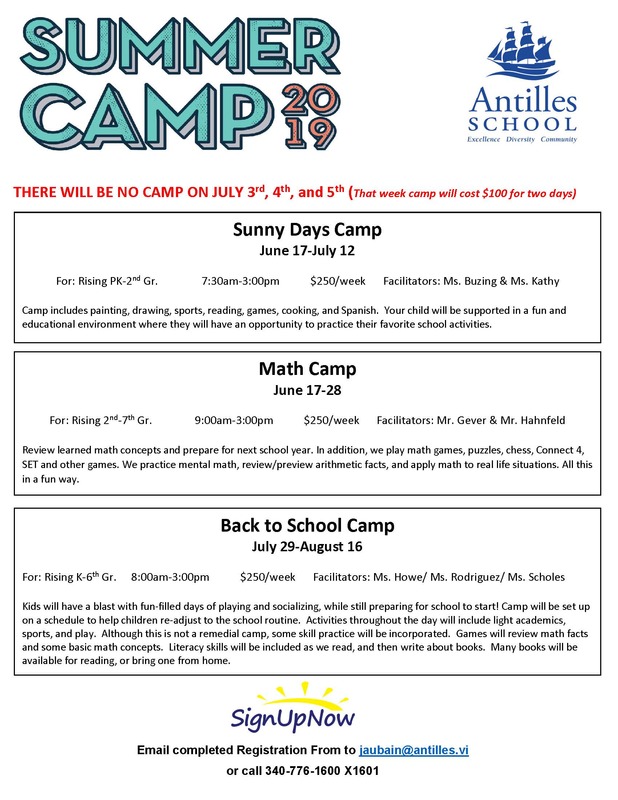 2019 Summer Camps at Antilles! The following is a basic list of camp offerings. Please see below for an explanation of each camp. To register, complete the Registration Form and please return it to Jamie Aubain in the front office. Jamie can be reached at 340-776-1600 x1601 or jaubain@antilles.vi.